This is a developing story. It will be updated as more information becomes available. 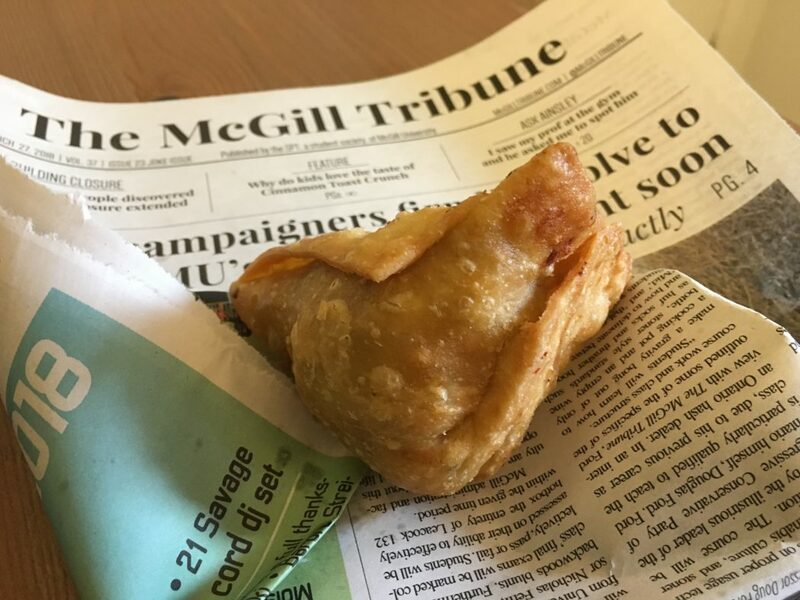 The SSMU and Pushap Restaurant – commonly known to McGill students as “that samosa guy” – announced today a joint investigation into possible mischief in McGill’s samosa distribution system. 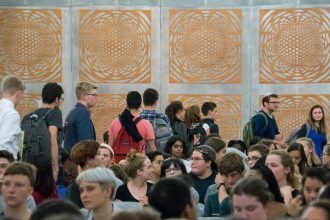 The announcement comes after a complaint was filed with the SSMU Committee for Samosa Review and Regulation (CSRR) by undergraduate student Brayden Meyers. Meyers, a 4th year student in Finance, was confused Wednesday afternoon by an unusual headline on his samosa napkin. He had spent the morning in back-to-back lectures, and with a big deadline coming up, he planned to make his way to the fifth floor of McLennan so he could loud-whisper about how much work he has. Before exiting the Bronfman building, Meyers’ eyes fell on a samosa table in the lobby. The committee is offering a non-opt-outable reward of $3 per semester to anybody who assists with the investigation. Meyers bought three samosas for $2, touching as many different ones as possible as he reached into the box. As he prepared to dig into his first potato pastry, he noticed some words on his napkin. The words, which investigators later clarified to be “news,” were discovered to be part of a joke about President-elect Tre Mansdoerfer congratulating his former opponent Corinne Bulger via Tinder. While Bulger provided no comment on the incident, The Bull & Bear corroborated the spelling of her name – Corinne, not Corrine – with various sources. Students who may possess any useful information on this napkin incident are invited to contact the SSMU. The committee is offering a non-opt-outable reward of $3 per semester to anybody who assists with the investigation. In the meantime, a task force is being assembled.